Induction heating is used in processes where temperatures are as low as 212 degrees Fahrenheit (100 degrees Celsius) and as high as 5,432 degrees Fahrenheit (3,000 degrees Celsius). As an application of induction heating, induction forging is a process that forms metal into shape using pressure from an impact hammer or press. 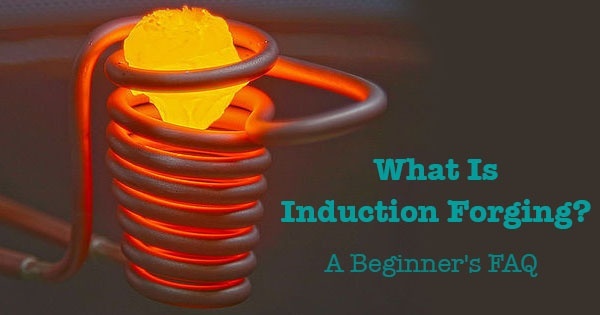 Before you get started with your own induction heating applications or any type of forging, it's important to know the facts. Here's a quick FAQ about the many uses for induction forging. Induction forging is considered to be one of the oldest known metalworking processes. It's quite versatile, considering the fact that materials can be forged at varying temperatures, from cold, warm, and hot. It's typically used to form softer materials and smaller parts made of steel. However, this process also tends to harden materials and make them brittle and difficult to process after the forging process is complete. What is induction forging used for? Induction forging has many different applications. First, it's often used for manufacturing automobile crankshafts. In this application, the process requires forging of the entire component, which is called billet heating. Other uses include the manufacturing of automobile steering components and hot heading fasteners. In these applications, only one end of the part needs to be forged, which is referred to as bar-end heating. What's the difference between hot and warm forging? Hot forging occurs when a certain part gets heated to above the material crystallization temperature prior to forging. This temperature is typically around 2,012 degrees Fahrenheit, or 1,100 degrees Celsius. Furthermore, hot forging enables parts to be formed without needing as much pressure. It also creates finished parts that have less residual stress and are much easier to machine or heat treat. Warm forging, on the other hand, occurs when a part is being forged below the recrystallization temperature, which is usually below 1,292 degrees Fahrenheit, or 700 degrees Celsius. Ultimately, understanding the benefits and applications associated with induction heating and forging will help you determine if induction can be a fit for your application. THE LAB at Ambrell is of course happy to test your parts to determine if induction can help your business. For more information about induction rotors and other induction equipment for sale, contact Ambrell Corporation.